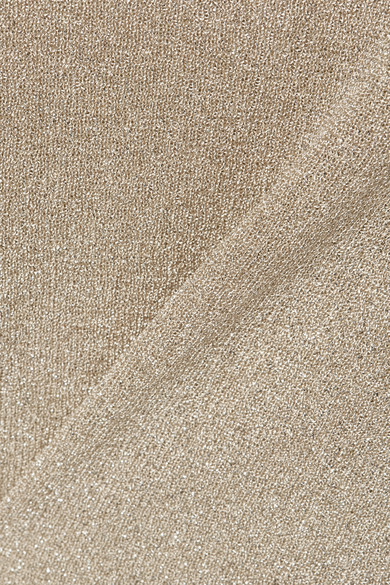 Brunello Cucinelli's designs are artfully crafted in Solomeo, Italy - a 14th century Umbrian village. This bodysuit is made from shimmering beige Lurex and has a flattering V-neckline and smooth briefs. The close fit means it will layer effortlessly under everything from flowy skirts to the brand's paperbag shorts. Shown here with: Loewe Shoulder bag, The Row Sandals.